Savannah's reputation for being both "good and evil" is well known, and visitors often explore both the eerie and the elegant side of Savannah. Fortunately for the thrill seekers among us, it's not hard to find a scary good time in beautiful Savannah. Why Is Savannah Considered Haunted? Along with New Orleans and Salem, Savannah often finds herself on the list of “America’s Most Haunted Cities.” With a history that dates back to the colonial period, there are ample tales of spooks and haunts in Savannah, and equally as many ghost tours and trolleys you can take to enjoy the spirits. So why the haunted reputation? Here are a few reasons haunted rumors abound in our lovely city. 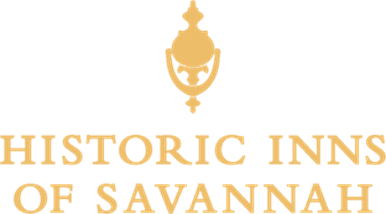 Savannah's history is filled with wars and conflicts. From the Siege of Savannah in 1779 (240 killed, 600 wounded), to the Civil War, clashes have left their mark. Many stories you'll hear on the haunted tours involve unsettled soldiers lingering around and inside buildings. Fire and sickness are also to blame. In 1796 and in 1820, devastating fires destroyed hundreds of Savannah buildings. Also in 1820 and again in 1854, the Yellow Fever epidemic took the lives of a tenth of Savannah’s population. More epidemics followed—including one in 1876 killed 1,066 Savannahians. Colonial Park Cemetery and other Savannah burial grounds are another reason for the haunted vibes. Colonial Park opened in 1750, and is the oldest intact municipal cemetery in Savannah. Prior to 1750, there were a few burial grounds that have now been covered up, built on top of, or paved over, earning Savannah the title the City that Lives on her Dead. More than 10,000 people are buried in Colonial Park Cemetery, but there are fewer than 1,000 grave markers. With such atmosphere and background, it's not hard to imagine that Savannah buildings constructed in the 1800s tend to have haunted reputations. All six of the inns in the Historic Inns of Savannah collection were built in the mid to late 1800s, and it's not unusual to hear a tale or two about our buildings while on a haunted tour. Here are the rumors and reasons some are mentioned on the tours. The Marshall House is one of the most talked-about "haunted hotels" in the United States. It was named #5 in a USA Today 10 Best Haunted Hotels survey, and its history has headlined on The Travel Channel, Today Show, TripAdvisor, Savannah Morning News and others. The Marshall House opened in 1851, and has a history that's very conducive to ghostly experiences, including its role as a hospital during the Civil War. The Marshall House was shuttered for many years before making its way back to a hotel in 1999. It is listed on the National Register of Historic Places and many of its original features remain untouched, including 19th-century doors, windows, moldings, staircases and railings. Ghost stories abound at the Kehoe House, a four-story mansion built in 1892. William Kehoe lived in the house with his 10 children and wife, Anne. Over the years, the Inn has become one of the more popular stops on local Ghost Tours. You'll hear lots of different stories on the tours, but a reoccurring one is about the children. It's said that two rooms on the second floor have reports from guests who have been awakened by loving caresses of small children. Other guests have said they heard children running and playing in the hallways after hours, when no families with children had checked in. The spirit of Anne Kehoe has also been rumored. Olde Harbour Inn's history goes back to 1812—making it one of the oldest inns in Savannah's historic district. Once a warehouse, the original structure was burned to the ground, and then rebuilt with brick in 1892. The building is mentioned in several books about Savannah ghosts, including Ghost From The Coast by Nancy Roberts. So What's the Spook Here? Olde Harbour Inn's ghost is named "Hank," and he is the most-often sited ghost among the six inns in the Historic Inns of Savannah collection. Guests have reported smelling cigar smoke when no smokers were present, experienced things moving around and seeing coins drop on the floor. Although there is no evidence that anyone perished in the fire of the building's early years, legend has it that "Hank" is the spirit of a worker who died in the fire. East Bay Inn was built in 1852, just steps away from the dark waters of the Savannah River. The building was constructed with a simple design with it tall windows and elegant brickwork, echoing the Greek Revival Style popular in Savannah around the time of the Civil War. Inside, the building's original cast iron columns are still present. The Inn has a place in Savannah's spooky folklore, thanks to our "ghost," who has been affectionately named "Charlie" by our staff. Guests have claimed to see a man in a dark suit and top hat who stares off into space before fading away. Flickering lights and disappearing objects have also been noted. The Eliza Thompson House on Jones Street was built in 1847 for Joseph and Eliza Thompson and their seven children. Joseph, a cotton dealer, died just eight years later, and Eliza managed the estate on her own. The home stayed in the family until the 1920s before becoming a doctor’s office, a dental practice, and eventually an inn. Legend has it one of the Thompsons’ sons, a Civil War veteran named James, died in front of the home after a horse kicked him the gut. The tale appears on several sites covering Savannah ghost legends, and some believe James haunts the hotel today. "Sightings" include Confederate soldiers in an upstairs window, a young girl wearing a white dress in the hallway and even a cat.